Safety comes first, but you won't sacrifice comfort when you choose this Wrangler Men's Grey FR3W8 GY Riggs Flame Resistant Long Sleeve Knit Shirt. This long-sleeve FR design is made from soft, natural, breathable 6.5-ounce 100% cotton FR jersey to provide both ... (see full details) (see specifications) #WRGFR3W8GY. Safety comes first, but you won't sacrifice comfort when you choose this Wrangler Men's Grey FR3W8 GY Riggs Flame Resistant Long Sleeve Knit Shirt. This long-sleeve FR design is made from soft, natural, breathable 6.5-ounce 100% cotton FR jersey to provide both a great feel and flame-resistant protection. This soft men's shirt meets NFPA 70E, ASTM 1506 and OSHA Rule 1910.269 standards and rated HRC2, ATPV 9.6 CAL/CM2. Nomex (FR) thread is used in all garment seams. For additional safety, there's an Orange outside ID for high visibility. The relaxed fit is comfortable and ideal for work, with plenty of room to move. Long sleeves help keep the chill off in cooler weather and chilly buildings. Expect comfort at the neck when you're wearing this Henley top with a flat collar sitting above 3-buttons. Button them up or leave them open and never worry about a stand-up collar getting in your way. There's a left chest pocket for convenience, and it features a distinctive Riggs FR label. Wear this Grey long-sleeve flame-resistant design alone or layer it under another shirt or sweater. It's a versatile piece of workwear that's sure to become a favorite. For flame-resistance, comfort, and style buy this Men's Grey FR3W8 GY Flame Resistant Long Sleeve Knit Shirt from the FR workwear specialists at Working Person's Store today! Most of my baselayer is Carhartt, I received this shirt as a gift. This shirt is comfortable right off the shelf. It runs a little smaller than the tag states. I prefer a looser fit but because of its weight it is not bulky and easily will tuck into your pants. It gets even softer after a few washings, I would recommend this for purchase. 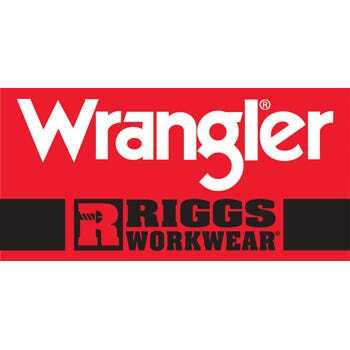 Wrangler Riggs Shirts: Men's Grey FR3W8 GY Flame Resistant Long Sleeve Knit Shirt is being added to your cart.